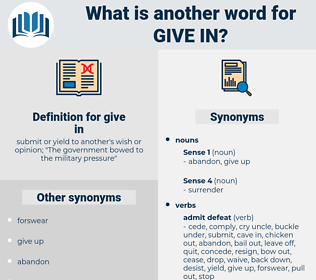 What is another word for give in? submit or yield to another's wish or opinion; " The government bowed to the military pressure"
lies down and roll over. haddest egg on ones face. 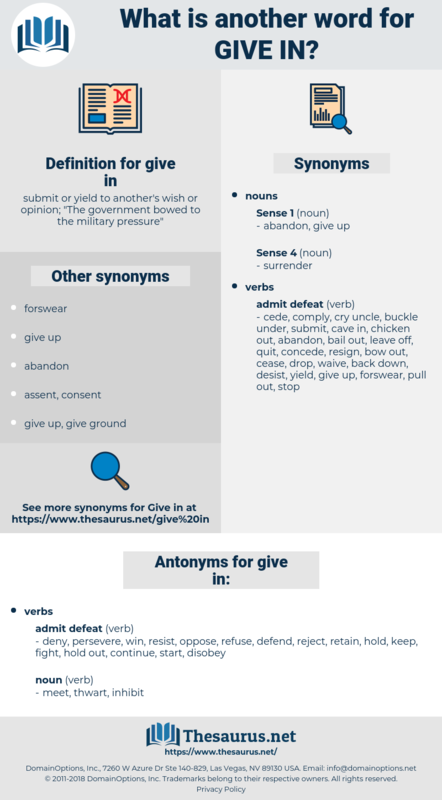 deny, persevere, win, resist, oppose, refuse, defend, reject, retain, hold, keep, fight, hold out, continue, start, disobey.